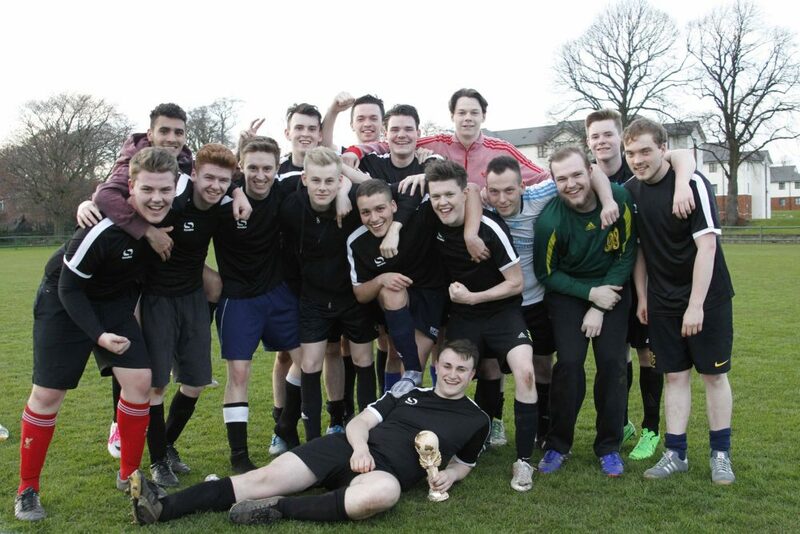 Level 1 more than lived up to their billing as favourites for the final by comfortably seeing off defending champions, the Alumni, in a 4-1 victory which sealed JMU Journalism World Cup success at their first attempt. Expectations were running high after the first years made a stunning tournament debut in the semis, but the newcomers handled the pressure of the occasion with admirable skill. Overall, it was a performance that has already tempted some to speculate they could remain unbeaten for their entire undergraduate degrees, which would match the achievement of the last Level 1 side to lift the trophy back in 2010, before securing three titles in a row. 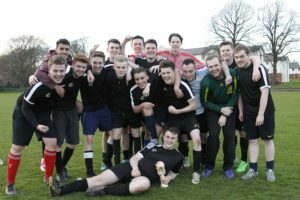 The first years even had to come back from a goal behind at IM Marsh, when Alumni debutant Matt Crosby scored an extraordinary opener direct from a corner. At the time, the Alumni were looking solid, but as the match progressed they were generally outclassed by their younger opponents. Level 1’s Samuel Hall had earlier done well to deny Alumni striker Nick Seddon when he was clean through on goal, but the ‘keeper was left floundering when Crosby’s left-footed corner sailed over his head and evaded everyone else on its way into the net. The Alumni’s lead was not to last long as Ed Baldwin, who previously volleyed over the top from close range, eventually hit the target after turning inside full-back Brandon Cross and bending the ball past Dan Burke. With honours even heading into the break, it was tempting to think that the final was delicately poised and could go either way, but it was largely one-way traffic after the interval. Burke was kept busy holding out Level 1 – notably so when a James Farrington shot took a surprising deflection off defender Jeff McGlinchey, but the Mancunian goalie was equal to the test. Farrington was not to be denied, however, and he put the first years deservedly in front by guiding a free-kick around the wall and just inside the post. 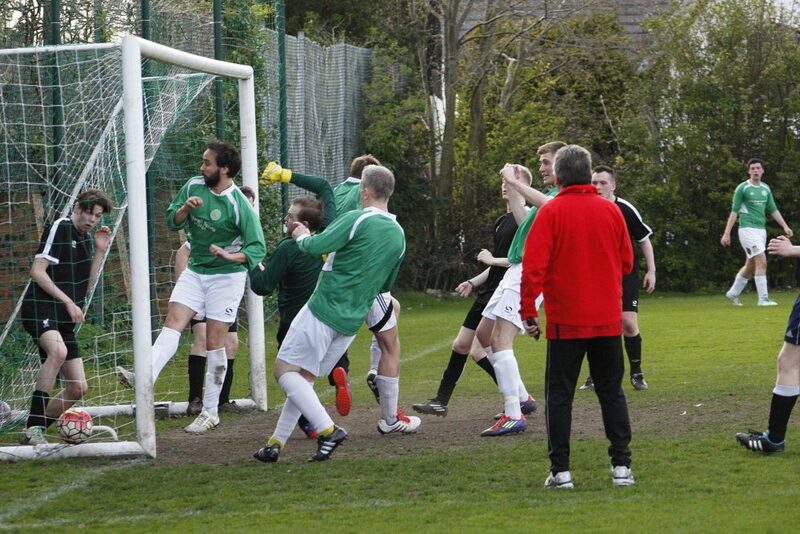 Alumni skipper Chris Shaw’s luck ran out after being fortunate to avoid conceding a semi-final penalty last week, but referee Guy Hodgson pointed to the spot this time round when the graduates’ captain brought down Marcello Dotolo, and Matt Ramirez guided the ball home. Sensing the contest slipping away, Alumni player-manager John Mathews introduced himself to the action and delivered another dramatic cameo performance. Unlike his two-goal heroics in the semis, though, Mathews stopped the show for all the wrong reasons when he painfully dislocated his knee, left the ground giggling on laughing gas in an ambulance, and eventually spent the night in hospital. Level 1 playmaker Evan Fyfe, who delayed his scheduled flight home back to Northern Ireland to make himself available for the final, was surely delighted he did when he poked in the fourth goal to cap a fine individual display. 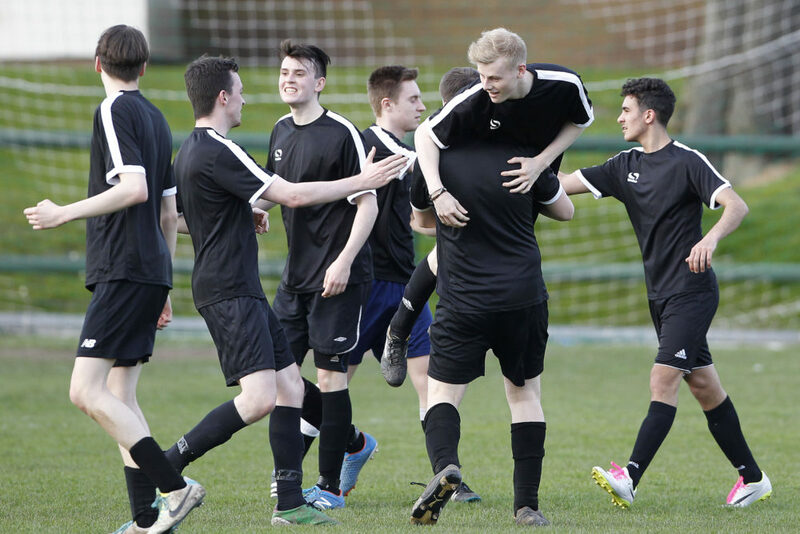 It was no more than the first years had earned with their dominance, and captain Liam Keen was surrounded by jubilant team-mates when he raised the JMU Journalism World Cup aloft after the final whistle, beginning what looks set to be a golden era for his side.